Yaakunah, a beachfront, conscious-living, self-sustaining community in the Yucatan Penisula, is to be established by a team of skilled people from Canada and open for collaboration worldwide. 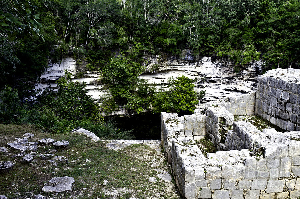 The beaches are virgin (untouched by hotel real estate), lots of nature and short proximity to the flamingo sanctuaries and jungle sacred cenotes. The architecture follows geodesic dome model to provide not only highly energetic structures but hurricane proof eco-living. The community is to flow in interaction at 3 large communal domes and smaller living domes. The large ones taking care of: (1) Permaculture/greenhouse/aquaponics, (2) Yoga/meditation/workshops dome, and (3) kitchen/dining dome. These will be connected; the greenhouse will be centered and behind, the other 2 – which will have ocean view. The entire complex will be powered by solar and wind energy. The living domes varying in sizes will accomodate from 1 to 4+ individuals. Efficiency in space is key as the majority of time won’t be spent inside the living domes. Their use will be mostly for sleep and personal hygene. Waste management is to be 100% compostable, and water harvesting stations will be set up throughout the whole complex. 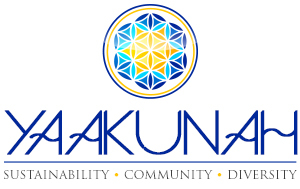 Yaakunah will function as an eco-living/visiting spot as one of its multiple sources of income. The surplus of generated resources will be shared with neigboring communities, as well as workshops and seminars both in Spanish and English. The intention is to share knowledge and wellness habits with the locals to assist them in improving their options to better their quality of life.